Welcome to another fabulous edition of RV Travel’s Daily Tips newsletter. 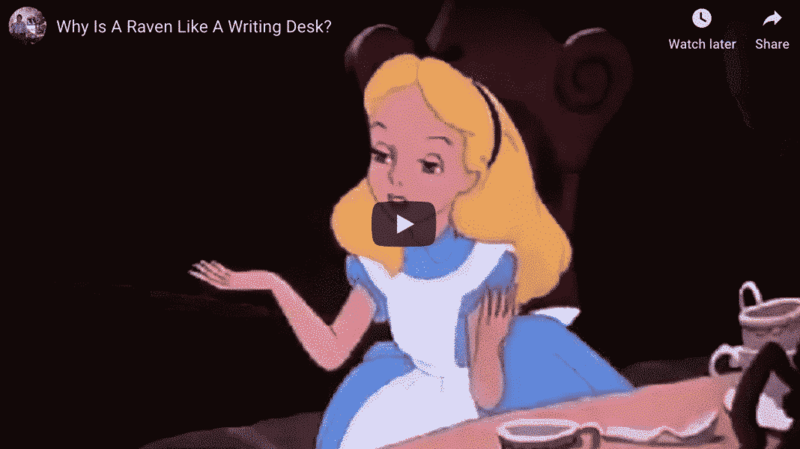 Here, you’ll find helpful RV-related, and small-space living, tips from the pros, travel advice, a handy website of the day, our favorite RVing-related products and, of course, a good laugh. Thanks for joining us. We appreciate your readership. If you shop at Amazon, would you use one of the links below to do your shopping? The link in the blue bar above also works. Thanks. “It’s a major adjustment to leave behind the life you knew. You’re saying goodbye to your house, your friends and family members, and probably your old job too. You’re journeying into the unknown and that’s HUGE. If you’ve made this transition or plan to, you’re so very brave and you have a huge community out there to support you. “SET REALISTIC EXPECTATIONS! People refer to RV life as a “permanent vacation” and that’s just not true. We still have to work, keep up the laundry, buy groceries and pay bills. We’re not immune to stress and our problems don’t disappear. RV life has some amazing perks, like exploring beautiful landscapes and changing your backyard whenever you want, but we do regular-people stuff too. You could be on the go all the time and moving every couple days, but we’ve found that we need balance so we don’t burn ourselves out. Find that balance and a pace that works for you. “BE OPEN TO THE JOURNEY! Mindset is everything. If you approach things with an open heart, without expectations of what it “should” be, you will save yourself a lot of grief. Almost nothing goes as planned when you want it to, so be flexible and learn to adapt. Be open to changing plans. Not holding ourselves to strict schedules has given us so much freedom. That doesn’t mean there’s no planning involved, but we give ourselves some wiggle room. We can add a few days at a location or leave early if we want to. Tires – Inflate to recommended specifications and check them often. Inspect for any imperfections before travel. Keep lug nuts tightened to proper torque settings. Get a torque wrench and learn how to use it. Minimize exposure to the sun. Tanks – Sanitize the fresh water tank as often as needed. For me, it depends on how much I use it, but usually every couple of months I’ll run some bleach mixture through the system. I use some Borax and Calgon water softener in my black and galley tanks to clean and deodorize. Also when dumping I make sure to have a nearly full tank to properly expel the solids with a good flushing action. This will help avoid the dreaded poo pyramid! Lights – Carry spares for every type of bulb your RV uses. Check the signal and marker lights for proper function before every trip. Thanks to loveyourrv.com. Have you ever explored Etsy? It’s a huge e-commerce website focused on handmade and vintage items for individuals to have a selling platform. It’s a great place to support small businesses! Here’s a link to explore their “RV” section. If you ever need a place for gifts, this is it. 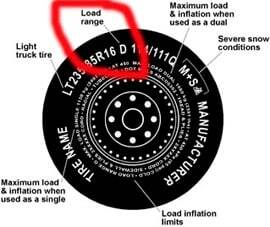 Tires and load range designations on tires have changed over the years. It used to be a 6-ply or 8-ply tire, and you knew the higher the number the stronger the tire. Now they use a letter to designate load range and tire strength. To help simplify this you can take the letter for the load range on the tire, determine what number it represents in the alphabet, and multiply that by two, to determine the strength of the tire. It sounds much more difficult than it is. If your tire is a load range “D” that is the fourth letter in the alphabet. 4 X 2 equals 8, so a load range “D” tire is equivalent to an 8-ply tire in strength. —Tip from Mark Polk, RV Education 101. You cannot legally co-sign on an RV but you can do something called co-buying. (Literally the same thing, but with a legal loophole and a synonymous name.) If you want more details on co-buying, ask your banker or the finance manager at your local dealership. —From Beginner’s Guide to Living in an RV: Everything I Wish I Knew Before Full-Time RVing Across America. Want to brush up on your RV history? Here’s an interesting read about the history of the pop-up camper. Check out the long list of great RVing-related websites from RVtravel.com. See what really cool stuff Amazon is featuring today. It’s a whole lot of fun just browsing through all these great items. The selection changes every day, so check back often. You never know what you will find, which is part of the fun of visiting here. Check it out. Carroll never had an answer, but after being pestered about it for years, he finally came up with one: “Because it can produce a few notes, tho they are very flat; and it is never put with the wrong end in front!” However, Carroll spelled “never” as “nevar” – “raven” spelled backward – but a proofreader erased the inverted pun before it was published. Q: Why did the egg cross the road? Q: How do comedians like their eggs? Q: How do monsters like their eggs? Best-selling RV products and Accessories at Amazon.com. UPDATED HOURLY. Did you miss the latest RV Travel Newsletter? If so, read it here. This newsletter is brought to you Monday through Thursday by RVtravel.com and is funded primarily through voluntary subscription contributions from our readers. Thank you! IF YOU APPRECIATE THIS NEWSLETTER and others from RVtravel.com, will you please consider pledging your support? Even a single contribution of $10 or $20 is appreciated. Many readers set up an ongoing contribution, typically $5 to $10 a month. Your contributions make it possible for us to produce more than 250 highly informative newsletters every year. Learn more or contribute. Join us: Facebook • Twitter • YouTube. Editor and Publisher: Chuck Woodbury. Managing editor: Diane McGovern. Staff writer: Emily Woodbury. Contributing writers: Russ De Maris, Bob Difley, Gary Bunzer, Roger Marble, Mike Sokol, Greg Illes, J.M. Montigel and Andrew Robinson. Advertising coordinator: Gail Meyring. Marketing director: Jessica Sarvis. IT wrangler: Kim Christiansen. ADVERTISE on RVtravel.com and/or in this newsletter. Contact Gail Meyring at Gail(at)RVtravel.com . Previous articleWhat happens when it snows in Seattle? “Snowmageddon”! Next articleEver wish a road you traveled had a sign like this? You are incorrect saying “it used to be 6 or 8-ply” and “now it’s a letter”. BIAS PLY tires are classified by the number of plies they have, such as 6, 8 or 10. That would be meaningless for RADIAL tires, because they all have between 1 and 3 plies, no more. That is why radials are classified by a load range letter. We don’t level other than to get within spec of the frig and that allows a significant tilt at 3 degrees side to side and 6 degrees front to back. Also the foot of the bed needs to be lower than the head! If leveling is needed it involves moving the RV until a decent spot is found. Used lynx blocks the first three months of RV’n and none since for the rest of the 11 years since. I’m not sure our truck camper with a StableLift raise/lower/level system fits in this big “RV leveling” scenario, but we usually lower the camper-mounted rectangle frame to take weight off the truck springs, preventing the rock ‘n’ roll seasick effect, and with its three electric frame jacks, we level the camper. I love it. We too are large people and “level” to keep the “boat” from rocking on flat land. It’s easy to see y’all are still snowed in!